Miller was allegedly aware of dozens of cases of Legionnaires' disease in the Flint area around the same time the city changed its water source to the Flint River, but she didn't report it to the general public. Between 2014 and 2015, a dozen people in the Genesee County area died of the pneumonia-like illness. Another 90 fell seriously ill.
Miller pleaded “no contest’ to a misdemeanor charge as part of a plea deal that has her cooperating with prosecutors. Special Counsel Todd Flood defends the lack of prison time for the former state Health Department employee. Miller is one of two former government workers who’ve agreed to cooperate with prosecutors in exchange for lesser punishments. There was one sticking point in Miller’s sentencing. Defense Attorney Kristen Guinn objected to part of the sentence that requires Miller to write an apology to the city of Flint, since Miller still faces civil lawsuits. “It will put Ms. Miller in a precarious position in terms of her potential civil liability and was not the purpose of the entry of the no contest plea,” says Guinn. In all, 13 current and former state and city employees have been criminally charged in the Flint water crisis. 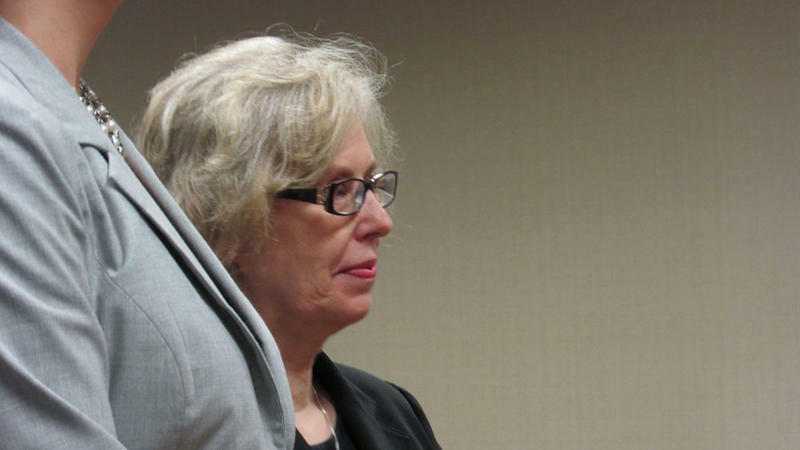 A former Michigan health official has been sentenced to a year's probation and must apologize to Flint-area residents for failing to tell the public about an outbreak of Legionnaires' disease during the city's water crisis. Corrine Miller struck a deal last summer and pleaded no contest to willful neglect of duty. Judge Jennifer Manley on Monday also told Miller to write a public letter of apology and perform 300 hours of community service. Miller's attorney says the letter could hurt her in civil lawsuits. Flint’s McLaren Hospital is responding forcefully to state health officials' demands for more information on Legionnaires' disease cases and prevention. In a letter to Michigan Department of Health and Human Services, McLaren hospital CEO Chad Grant accuses the department of misplacing blame for the Legionnaires' outbreak in Genesee County. Nick Lyon, head of the Michigan Department of Health and Human Services, has written a letter to McLaren Hospital in Flint, demanding it provide more information on efforts to respond to hospital-acquired Legionnaires' disease, a severe form of pneumonia. A major outbreak of Legionnaires' was linked to McLaren Hospital in 2014 and 2015, and two more hospital-acquired cases occurred at the hospital in late 2016.